District Attorney Pat Robinson’s Election Campaign Kick Off Party all are welcome! Must be seated by 11:30 a.m. This is the last day election offices will receive Absentee Ballot applications. Apply for a ballot online. Register to vote online or download and print the voter registration form. This is the first day election offices will receive Absentee Ballot applications. Apply for a ballot online. This is the quadrennial re-organizational meeting of the Wayne County Democratic Committee. Voting will take place for the positions of County Chairperson, Vice Chairperson, Secretary and Treasurer. The newly elected county committee people will be introduced. Everyone is welcome. Last Day to Apply for an Absentee Ballot before the Primary Election. You may register to vote and request an official absentee ballot by using the Federal Postcard Application (FPCA), available at www.votespa.com or www.fvap.gov. You may apply for an absentee ballot by submitting your FPCA by fax to (570) 253-5432 or by email to cfurman@waynecountypa.gov. 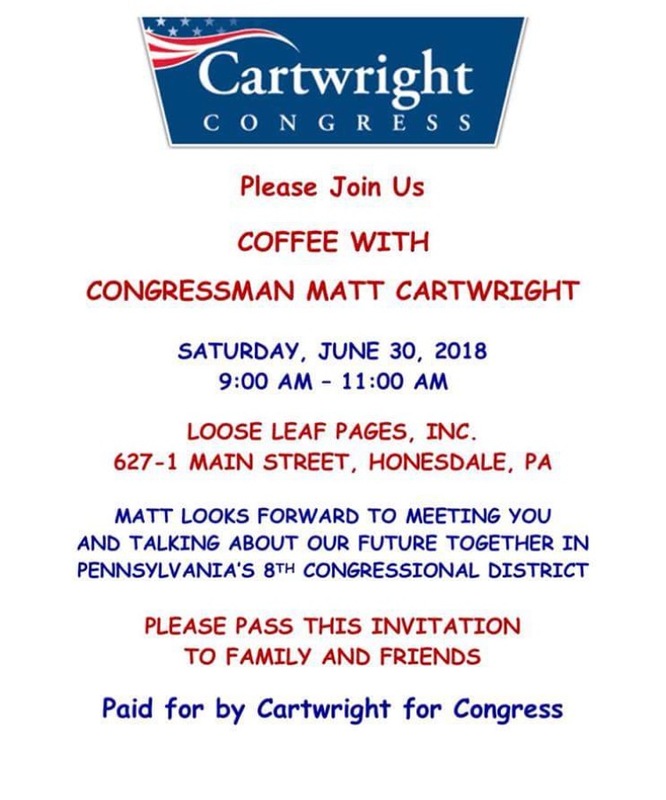 Come hear Democratic State Committee Person Dwayne Heisler speak about effective canvassing techniques for reconnecting with rural PA.
Dwayne has experience engaging organizations and individuals to promote effective leadership, to create stronger inclusive communities, and to secure local prosperity for the future. He has lead many trainings on the state and regional level. He is a dynamic speaker with a wide range of experience. Our second committee meeting of 2018 will be Wednesday February 21st at 6 pm at Elegantes on Main Street in Honesdale. 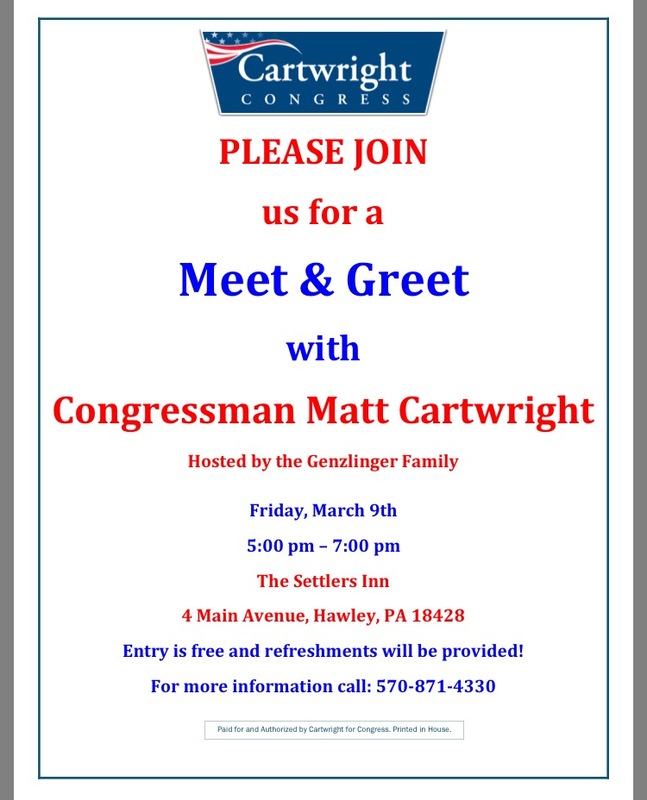 Please come and bring your friends to join us as we continue to lay the foundations for a year of democratic wins in PA.